Despite my love-hate relationship for the band, Dir en Grey are a band whose work I've always paid close attention to. Over the years, the band has come to personify every aspect of what I love about Japans' approach to western music. During the course of their 17 year career, this 5-piece's musical output has been ever changing. Starting out as an experimental visual kei outfit, the bands' sound has gone through an incredible amount of changes over the years. Whether it be with Nu-metal, Metalcore or Progressive rock, the band has drawn influences from whatever style of music is making waves in the rock and metal world at the time, offering a unique take on the genre with every new release. Recently however, Dir en Grey has seemingly taken a decision to step back and focus on creating music that they can claim as their own. Now, after the ambitious and ferocious album that was Dum Spiro Spero in 2011, the unclassifiable metal outfit returns with a new full-length effort titled Arche. 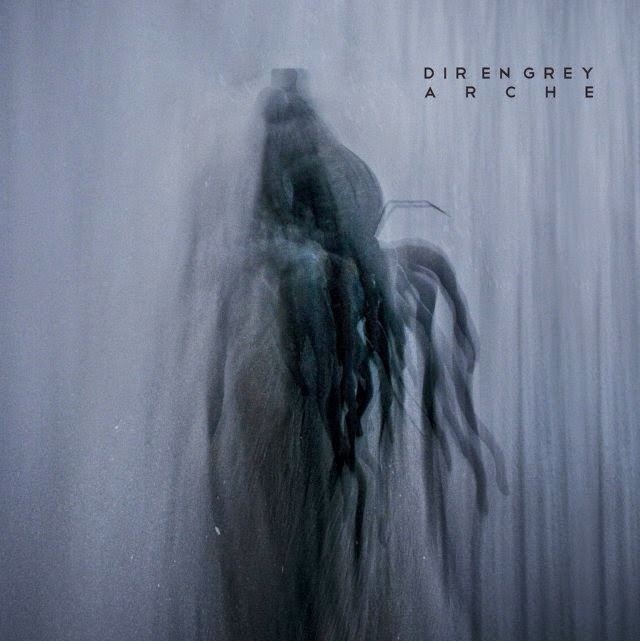 As the album title suggests, Dir en Grey re-explores the sounds of their early career with a fresh new perspective with this latest release (Arche meaning "Origin" in Greek). Considering that Arche draws influences from most of the bands' musical "phases", it would not be far off to call this a retrospective album. What this means is that this full-length release marks the return of some of the eerie melodies and lunatic song progressions from bands' J-rock and Nu-metal phases. Some of the songs on here such as "Chain Repulsion" or "Cause for Fickleness" could even fit on an album such as 2005's Withering to death. One of the strongest elements that gives the album an old-school Dir en Grey feel are the clean vocals that are much more prominent this time around. Arche however does not turn its back on the bands' more recent efforts by any means, quite on the contrary. The album still stays in the continuation of it's more recent releases, with its linear song structures, dense atmospheres and crushing low end guitars. It is clear from the mix that Kyo's vocal performance is the centerpiece of the album. The vocalists' amazing vocal range and versatility is yet again on full display on these 16 tracks. Alternating effortlessly between operatic clean vocals, beautiful falsettos and ferocious low growls and screams, it comes to no surprise with such a performance that the vocalist be frequently compared to the likes of Mike Patton. As for the instrumentation, the songs on the album balance out calm moments featuring beautiful reverberated drums and clean tones with heavier sections featuring fuzzy, muddy distorted guitars. Unfortunately, the clarity of the distorted guitars seem to have been neglected a little in favor of the vocals, making it pretty hard to make out what is being played. As a result, the intrumentation on the album relies a lot more on timbre and dynamics and rather than "riffs". While this may not necessarily be a bad thing, the overall composition of the songs does not make up for the blurry rhythm section. The lack of progression and buildups cause some of the slower songs to linger about and die out without any sense of closure. As a whole, Arche still remains a relatively well-paced album that manages to string various elements from their past records together into a cohesive whole. Despite a slight lack of progression on a few tracks as well as some mixing issues, this latest album is a nicely paced listening experience that has quite a lot to offer for old and new fans alike. With this 9th installment, Dir en Grey prove how gracefully they have matured as a band by offering a new take on their past efforts.